Can wide age gap in a marriage affect your relationship? In a wide age group does your marriage and relationship with your life partner gets affected. This is something to consider before marriage.Everyone looks for someone who accepts them as they are, cares for them and appreciates them as they are.<!–more– But what if your compatibility is great but the age gap is over 10 years?The evergreen question of ‘May-December’ marriage and compatibility is difficult to be understood in a general sense, because each couple has their own reasons to be together. And usually age is not an issue when they get married. In most relationships and marriages the woman is younger while the husband is much older, though older women marrying younger men are not rare, just uncommon. However, awkward questions keep cropping up and it is up to the couple to answer them. The age gap becomes more apparent with the passage of time. If you are 25 years old, married to someone 15 years your senior, you might want to go out partying but your spouse might consider it passé because he/she has been there, done that. 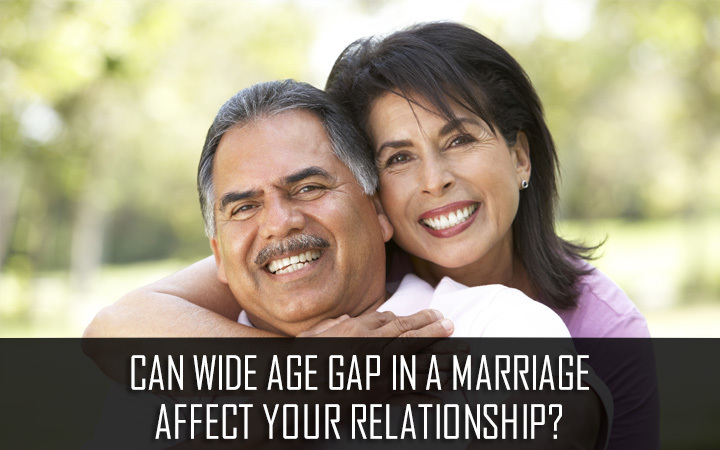 Most of the time, the age gap becomes apparent in minor issues which can lead to discontent over time. That is why you should be clear about discussing these aspects before your marriage as age gap is prominent when it comes of rites of passage and life experiences. Another factor that needs to be considered is the embarrassment in social situations. Whether you are eating out, shopping or meeting strangers, the older spouse is usually taken to be the parent, which is evident as time passes and both of you age. The older spouse naturally ages more and looks his/her age, and such situations can be embarrassing. But like in any marriage, if you are happy and have the perfect chemistry, age isn’t a factor. Mutual respect, strong communication, dedication and respect needs to be nurtured to have a healthy and happy relationship.